An aluminum and glass sliding door is fitted to a house extension. There are so many changes that have been made to the National Building Regulations in recent years that home owners may be forgiven for wondering what is and what is not allowed in terms of altering and making home additions. Some of the greatest concerns relate to the new energy laws and regulations in the form of SANS 10400X (2011) and SANS 204 (2011). For instance many home owners wanting to extend their home or alter certain aspects of it are concerned that these alterations will become much more substantial because they have to worry about fenestration issues. Fenestration, of course means any glazed opening in the “building envelope”, including doors, windows and skylights. The fenestration area as a whole is that part of the house that includes glazing and framing elements (in other words door and window frames as well as the glass) that are fixed or movable (can be opened), and opaque, translucent or transparent (which broadly describes the different types of glass or glazing possibilities). 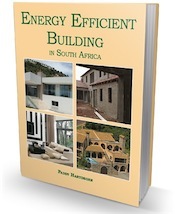 Buildings with up to 15% fenestration area to nett floor area on each floor (or storey) must comply with the minimum energy performance requirements specified in the regulations. Buildings with a fenestration area to nett floor area on each floor (or storey) that exceeds 15% must comply with the requirements for fenestration in accordance with SANS 204. All fenestration air infiltration must comply with SANS 613: Fenestration products – Mechanical performance criteria. While it’s certainly in your own interests to do what you can to ensure that your home complies with the regulations as they apply to fenestration, it is not normally mandatory when your are doing alterations to existing buildings. In the case of an addition, you will normally need to comply. 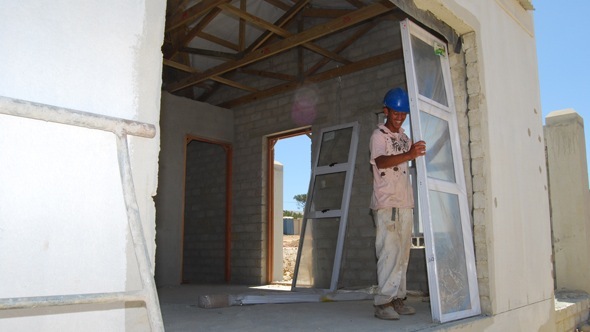 While the National Building Regulations and deemed-to-satify South African National Standards – specifically SANS 10400 – do not deal with alterations and additions as such, there is a section within Part A, General Principles and Requirements that is explicit in terms of what is expected of you as a homeowner. This section (B.11) states that while in general the National Building Regulations “are not retroactive in application, a problem might arise when alterations or additions are carried out on buildings that have been erected in compliance with earlier building by-laws. “In the case of an addition it might be possible to treat the new portion as an entirely separate part which can be designed to comply with the National Building Regulations without having any effect on the original portion of the building.” This clearly refers to the regulations that have been introduced progressively since the National Building Regulations and Building Standards Act 103 of 1977 was dramatically amended in 2008. While the regulations don’t refer to energy issues here, they certainly are relevant. Cost is also a vital factor. If you as a homeowner are going to be forced to make extensive changes just because you are adding on a room, or fitting a sliding door where there are currently windows, it’s going to put you off making the changes. “If an owner or entrepreneur cannot alter a building to suit his purpose at a cost which will enable him to have a reasonable economic return, he will probably not alter the building at all. This could lead to the perpetuation of a situation which might be dangerous but one which is in compliance with old by-laws and is thus perfectly legal. Such a situation could often be considerably improved by making certain changes that are practical and economically sound even though they would not provide the same standard as would be expected in a new building. Which is why we always advise people to consult with their local authority. If decisions are unreasonable there are recourses for you to take. You will need approved plans for the garage. I recently bought an upstairs unit in a complex. Each block in my complex has four units, two upstairs and two downstairs units. I have an open balcony that is 2m x 4m in size. I would like to cover this balcony as it is of no real value to me without a roof, the Pretoria weather is either too hot or too cold. The board of trustees informed me that I will have to submit plans to the council for this. However, section 13 (1) of the National Building Act, Act 103 of 1977 makes provision for certain minor alterations to be done without plans being submitted. what is the correct procedure here? Hi Penny, we are busy with extensions and because we do not have to enroll the house with NHBRC, the inspectors do not come to inspect. My argument with the contractor is how is effecting the extensions. Is it acceptable by the NHBRC to make a straight joint between the old house and the new house. please advise. Extensions are not the responsibility of the NHBRC. Do I need planning permission for a wooden container to be installed and used as a bedroom on my property? Hi Leonie, any building that is going to be occupied/lived in by a person will need plans. Unfortunately we are not in a position to carry out inspections. This is simply an informative web site. Hi, I am building outside rooms at my house and the inspector says my outside rooms have to touch the neighbor’s back rooms Isn’t that against safety regulations or fire safety regulations? You should be building according to approved plans. What do these show? Your best bet is to try and track previous owners and see if they have plans. In the meantime put the municipality on the spot and tell them you will draw up plans for the extension with the existing house indicated as already built. Not without permission because you are changing the function. You may also require permission from your neighbour. We are renting a property for the last 2 years now. In the first year I got permission from the owner to convert the garage and out building into a granny flat. He never informed us that we need a letter from the council ans that the builder must be registerd at the NHBRC. The only alterations we made made is putting a sliding door in where the the garage door was. The garage had a back door and we put up a outer 2 layer wall linking garage and out building. Now that we want to move out he is requisting a letter from the council and the NHBRC certificate. Can he hold us liable for any fines that he may have as he wants to sell his house now. He’s way out of line and clearly doesn’t know the law. First of all you would have required approved plans to convert the garage into a granny flat – not a letter from council. Secondly, NHBRC registration is only required for NEW houses, not for extensions and additions. You could always offer to remove the sliding door and put the garage door (or a garage door) back in place! And he’s going to find it very difficult to hold you responsible for fines that may be issued. Debra, the National Building Regulations and Building Standards Act of 1977 was most recently amended in May 2008 and the amendments were major. Furthermore, the “deemed to satisfy” rules which are presented in SANS 10400 – and discussed in detail on this website – were published progressively from 2008 until 2011. So there is absolutely no doubt that your plans will be out of date, particularly in terms of the new energy regulations.